Jung Ryeo-won is a South Korean actress and singer. She debuted in 1999 as a member of the girl group Chakra. She was spotted by Lee Sang Min during her exchange program from Griffith University, Australia. After the group’s disbandment, she pursued a career as an actress in the entertainment industry and is still active now. Let’s learn more about amazing woman, Jung Ryeo-won. She debuted as a singer with the girl group Chakra on South Korea in 1999. Unfortunately, the group disband in 2004. She almost dropped her dream of becoming actress after going through 11 unsuccessful acting auditions in 2004. But she gained recognition after her appearance on MBCs “My Name is Kim Sam-soon” and “Hello Franceska”. She published Ryeo-won’s Sketchbook in 2007. It contained her drawings and writings about her Christian faith. Even though she hadn’t received formal instruction in fine arts, she liked expressing herself through drawing in her spare time. Two of her art pieces were sold at a charity auction in 2012. Not only is she good at acting, she also has talent as an MC. She began hosting the StoryOn cable channel “Art Star Korea” in March 2014. It was an audition program/reality show featuring contemporary artists. Her favourite color is red. She has a sweet tooth because she adds syrup to her coffee when she drinks it. She is a fashionista who always knows the perfect item of clothing for every season. She is close to Super Junior’s Siwon and Donghae through a Bible Study Group. There was once a rumor that she was dating Nam Tae-hyun, ex-WINNER member. Jung Ryeo-won debuted at the age of 18 when she started her singing career with the girl group, Chakra. People do age, but Jung Ryeo-won still looks young despite her real age. This year, 2018, she is already 37 years old. Although she has already passed her mid 30, her young face is unbelievable! Jung Ryeo-won’s real height is 168 cm. She is able to look taller than that because of heels, and her clothing choices that made her look taller than her real height. Who is Jung Ryeo-won’s Husband? Being busy working as an actress, she does not really focus on her romantic life. 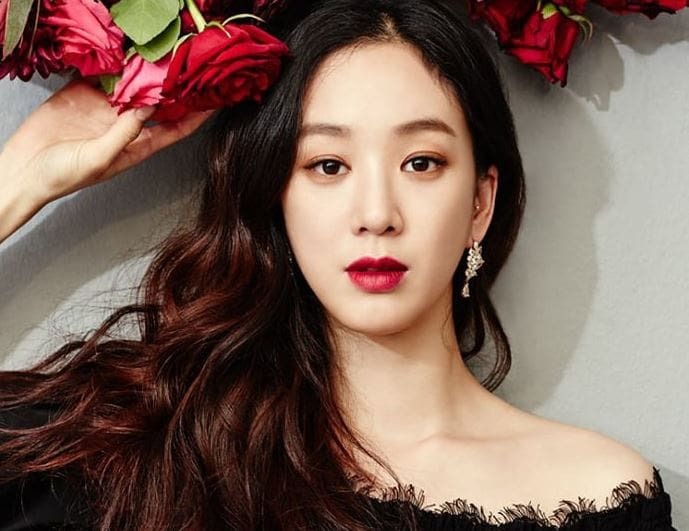 Jung Ryeo-won is still single, and hasn’t gotten married yet. Although, she has met a lot of handsome actors through her career. Is Jung Ryeo-won Already Married? As an actress, Jung Ryeo-won is able to become close to many actors, both in dramas and in films that she has starred in. Being busy with her career ever since her debut as an singer, and then become actress later on, she hasn’t fallen in love with anyone until now. She is currently busy with her acting career and other things.